It was extra hot today and I needed a cool drink. Rite Aid at 1912 Pearl Street was a good choice since I also needed band-aids. 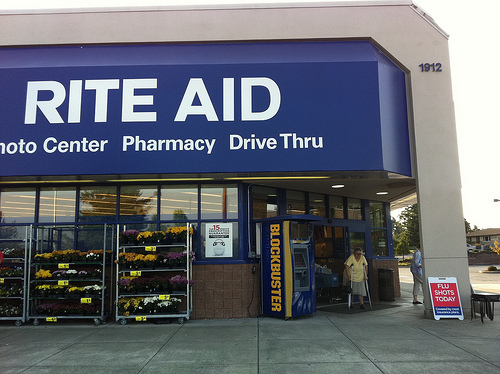 The Rite Aid was just like every other Rite Aid, but the cashier was particularly upbeat and delightful. That makes such a difference! This entry was posted in Chain stores (there are a bunch of them), Stores and other places that sell you things, Tacoma, WA State - Pierce County and tagged customer service, drug store, Rite Aid, Tacoma on September 8, 2011 by admin.